My husband and I were supposed to share a Victoria cake slice that I got from Megamart yesterday. Until my friend saw and devoured it before I could blink. So now, we had a dilemna: both of us are now hankering for something sweet. But since our oven is still not fixed, baking is not an option. 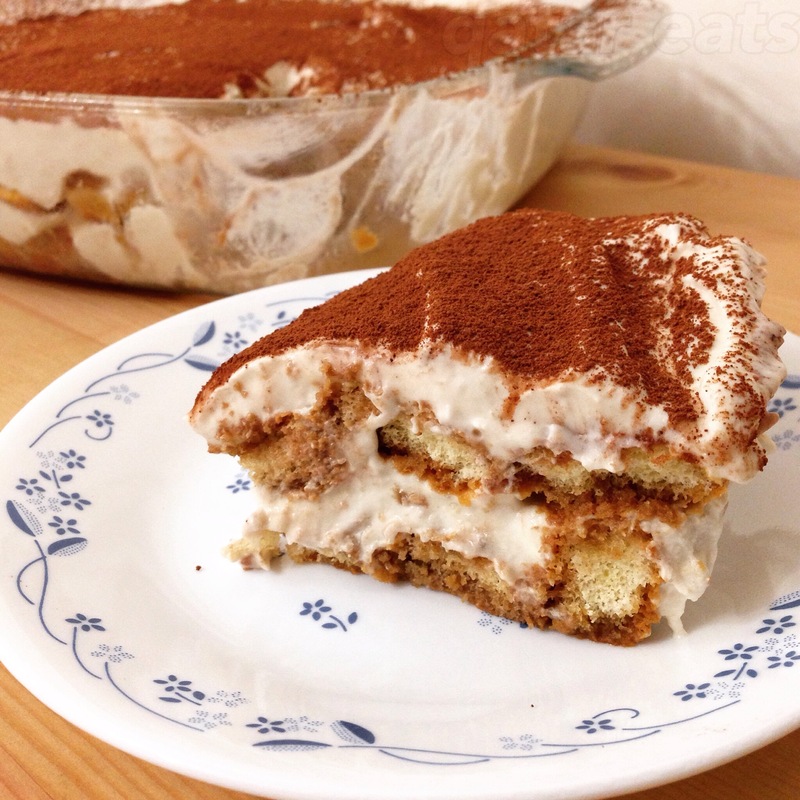 Here comes tiramisu to the rescue. Easy enough but I, however, am not confident preparing raw eggs. So, instead I thought of using bananas. Hey, if you can make pancakes out of bananas then for sure you can use it for tiramisu, right? (I may or may not have had my fingers crossed while repeating this to myself prior to preparing it). 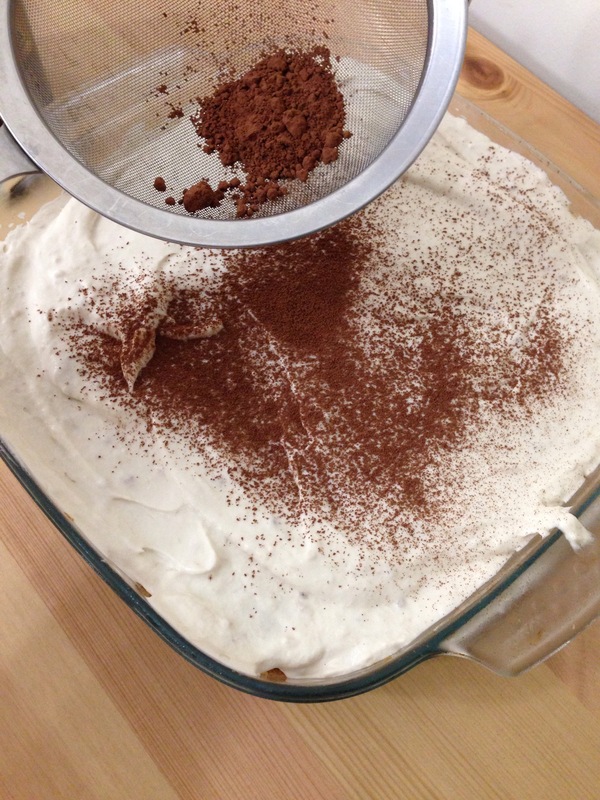 A classic tiramisu recipe will tell you to include rum. If you’d like to do so, add 60mI and mix it with the coffee. As for me, I used tequila and a leeettle beeet of Irish cream as that’s the only alcohol I have right now. Un-classic, remember? 1. 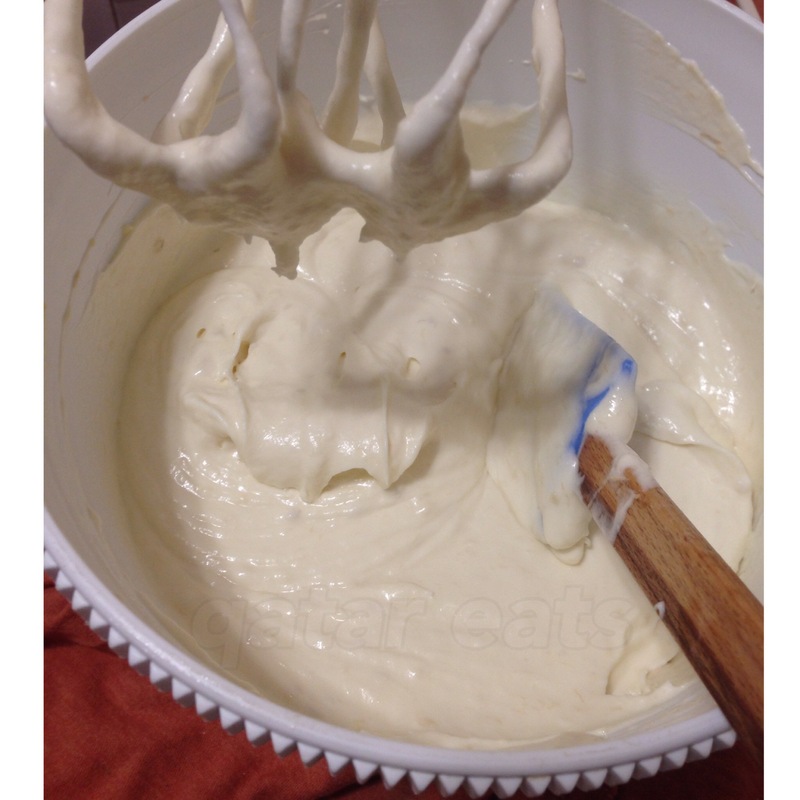 Using a mixer, beat cream and sugar in high speed until it doubles in volume. 3. Lower the speed to the slowest and add the mascarpone. Beat until fully mixed. Set aside in the fridge. 4. Pour coffee in a shallow bowl. Prepare the pan to be used. 5. 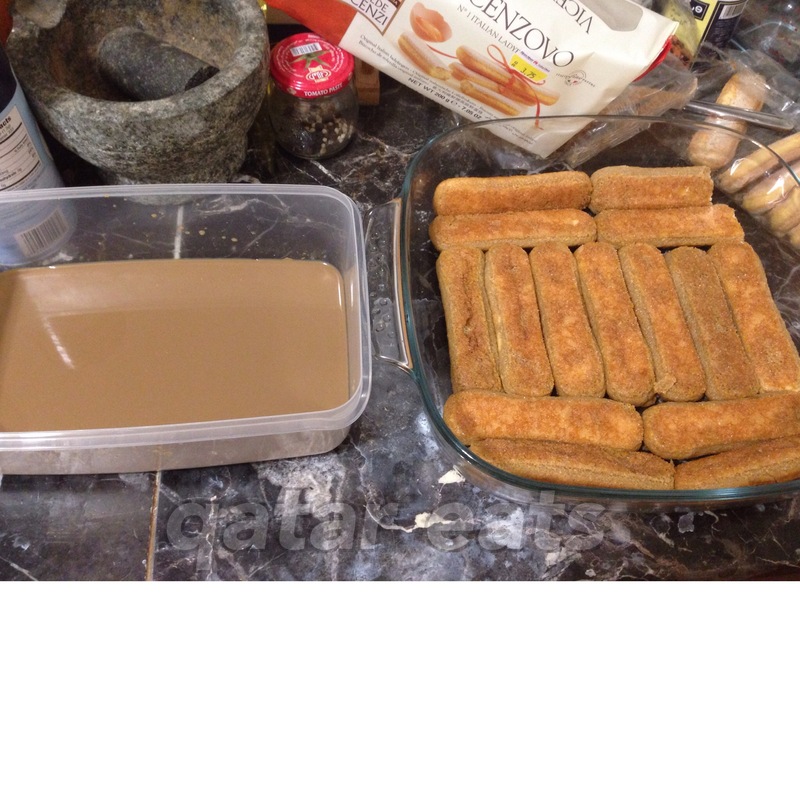 Dip both sides of the lady fingers into the coffee. Makes sure you do it quickle otherwise the lady finger will soak up too much liquid and crumble. 6. Lay the dipped lady fingers however you like it. 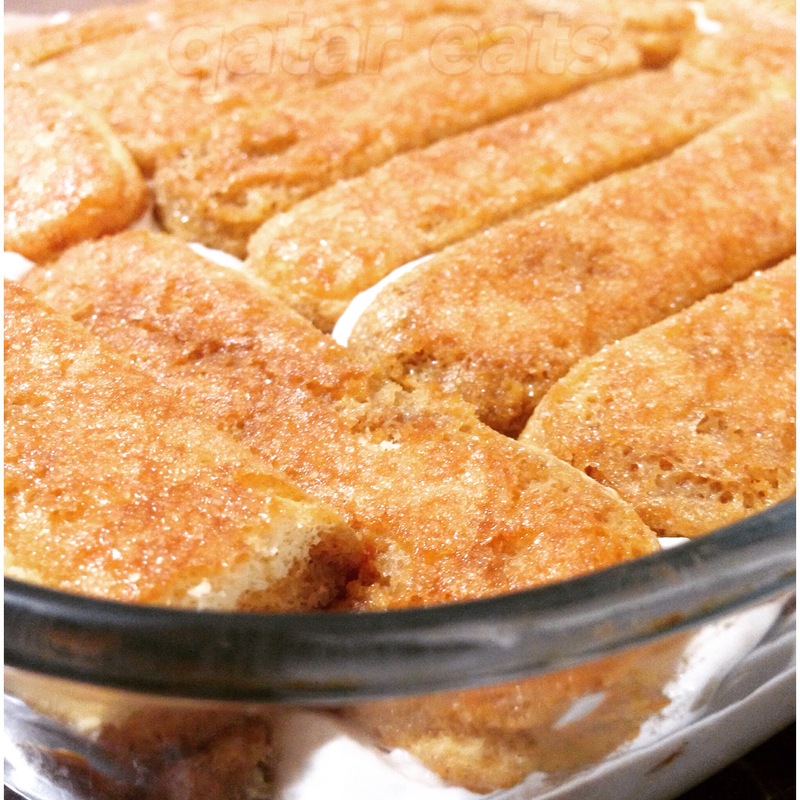 Once the first layer is filled, spread half of the mascarpone filling over the lady fingers. Repeat the process until you finish the filling. 7. Chill for 6 hours. Or, if you’re ravenous like us, put it in the freezer for 1 hour, slice a big piece and chill the remaining in the fridge until craving requires you to take it out and get another slice. 8. Using a fine strainer, dust with cocoa powder before serving. Dust it like you Tinkerbell with your fairy dust!